Truth is, there are dozens of great spots to ride your bicycle in Naples, Florida. We just received the new cycling & walking map from our friends at the Naples Pathways Coalition, and we are happy to report that the new map covers the entire county of collier, so you’ll know exactly where to find the best bicycling spots whether your in Immokalee, North Naples, or even Marco Island. Stop by our Naples bike shop to pick up your bicycling and pedestrian map. They’re handy and they’re free. As a bike shop owner, and a Naples bike shop owner, I hear people talking about stolen bicycles. A lot. Like, every week. The issue really hit home for me when a guy from Naples brought his beach cruiser in for repair. He had recovered it from a ditch after it was stolen–and the seat had been raised so high that the seat tube was actually bent. The thief didn’t realize that lifting the saddle up so high would actually damage the bicycle itself. But the owner of the bike loved his ride so much that he brought it in, and we were able to hammer and fabricate it back into working order. Some metal-bending, sanding, and touch-up paint took care of the issue, but the economic damage was done. The victim of the theft was out a bike for about a month–and out the cost of the cosmetic and structural repairs. But there’s a greater issue than this one incident. Bicycle theft in Collier County is at least as prevalent as it is in any big city, and perhaps even more prevalent, since there are so many high-quality bicycles here. Anecdotally, we believe that the Publix supermarket at 951 and Immokalee Rd. is the scene of approximately one bike theft per week, and we know that Ave Maria is a hotbed for college students who like to joyride on other peoples’ two-wheelers. For starters, invest in a good bike lock. Cables locks are convenient and easy to operate. But it only takes about 90 seconds with a bolt-cutter and/or hacksaw to defeat a lock with an 8mm-wide cable. We know because customers who’ve forgotten their locks’ combination codes ask us to remove the locks. A 12mm-wide cable is better, taking us about 2 1/2 minutes to defeat. The moral of that story: invest in two locks, and use them. A thief is likely to reconsider attempting to steal a bike that is locked, but if it is locked twice, the thief’s mental calculations might convince him to move on altogether. We’re working on some other ways to protect your bike and increase the odds it will be recovered if it is stolen–but in the meantime, be vigilant. Park your bike in well-lit areas, preferably where there’s surveillance cameras (like the bike-rack in front of our shop, for instance). Always keep it locked, and if using a cable lock, route the lock through both the frame of the bicycle and its front wheel. But there’s more to it than a lock. A good friend of the shop (who owns a $3000+ carbon-fiber aero-competition bike) had his bicycle stolen from out of his car along with his laptop. Now this particular theft occurred in South America, when out friend was riding in Columbia, but the theme is the same: vigilance is utterly important. Like any property that matters, protect your bicycle as best you can. Keep track of your bicycle’s serial number, make, model, size, and color, in case you have the opportunity to prosecute. Photograph your bike for insurance purposes, and retain your proof of purchase (we keep electronic records of every bike we sell–partially with this purpose in mind). If your bike is stolen, report it to the sheriff’s department immediately. Notify your friends, neighbors, and coworkers–and importantly, notify your local bike shop (us). This is helpful in case the thief attempts to fence your stolen bike or bring it in for repair. Another way to increase the likelihood of getting your stolen bike returned is frequently using it in group rides. The more folks you ride with on a regular basis, the more people will be familiar with your vehicle–and the better the chance of spotting and recovering it in the event of theft. Our service manager once had one of his stolen bikes recognized by a friend with whom he rode–and it ended up being returned because of that recognition. Mountain bikers and trail riders looking to grind some gears and kick up some dirt have plenty of choices for a day of mountain biking on all sorts of different terrain, from family-friendly dirt roads to highly-challenging single-track trails. Here are five of our favorite mountain biking locations in southwest Florida. Caloosahatchee Regional Park’s mountain bike trails offer dozens of fun obstacles to negotiate. Check out some mountain bikes for these trails here. Amy Morrison (Right) took third place at the 2018 Big Mountain on her Fuji mountain bike. Rocking their Fuji mountain bikes, the Fuji Factory Team crushed the Big Mountain Enduro series event in Aspen Colorado last week. Athlete Amy Morrison, also the 2016 champion of the California Enduro series finished in third on her full-suspension Fuji Auric. Enduro Champion Jimmy Smith (center) is new to the Fuji Factory team this year. Teammate Jimmy Smith, former champion of the Southern Enduro Tour, finished twelfth overall at the same event as Amy. Jimmy is also backed by Garmin. Overall, the Big Mountain Enduro was a huge splash for the Fuji Factory Team. Hats off from our team to Fuji’s. For more information about the dynamic all-mountain style Fuji Auric bike, give us a call! BMX, or Bicycle Moto-cross, is a fantastic sport that tons of people of all ages really love! Today is the perfect time to get into BMX, because the bikes, accessories, and prices have never been better than they are today. But before we get too far into the technology, let’s figure out what kind of BMX rider you are, or want to be. Read on to find out! 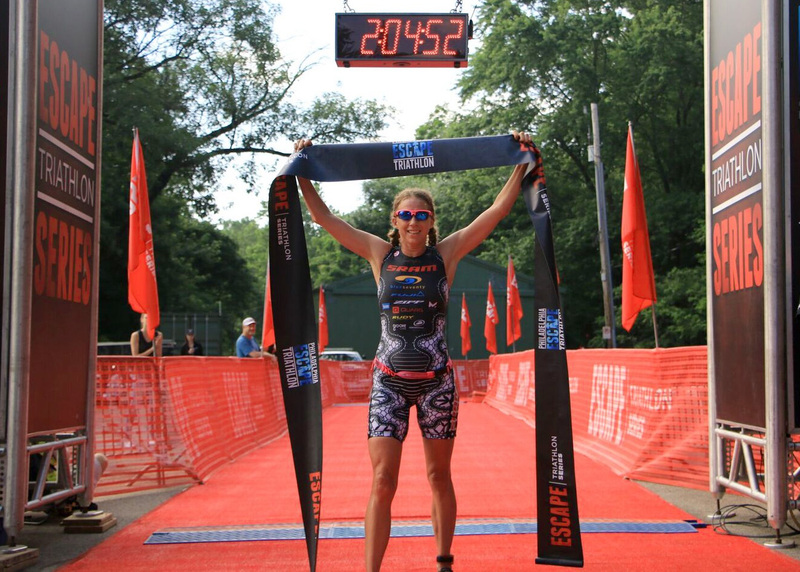 Triathlete Sarah Haskins (pictured) won the Philadelphia Escape Triathlon this past weekend riding a Fuji competition bike. Congratulations to Sarah and all the amazing riders who choose Fuji road bikes for their competitions. We’d also like to congratulate Nicolle Bruderer who won the Guatemala National Championship individual time trial event on her Fuji competition bike. Congrats to these amazing athletes who, like Cycle Shack, choose Fuji bikes. A common complaint among casual cyclists is discomfort: numbness and tingling in the arms and hands, shoulder tightness, and numbness or pressure in the crotch are the most common complaints. Usually, these issues are symptomatic of a bigger issue, though, and that issue is posture. Your bike was shifting great, braking instantly, and effortless to ride. But that was 1000 miles ago. Now, those shifts aren’t so quick, and the brakes are making some noise–and not stopping you. You chain might’ve even popped off of the crank. It’s time for a tune-up. Curious as to how we do it? Read on. Only be prepared–when we tune a bike, we don’t cut corners. That means be prepared with the right tools. Read on to find out how!